Supergiant Games’ critically acclaimed Transistor is out today, Nov. 1, on the Nintendo Switch. You can buy it on the Nintendo eShop for $19.99. 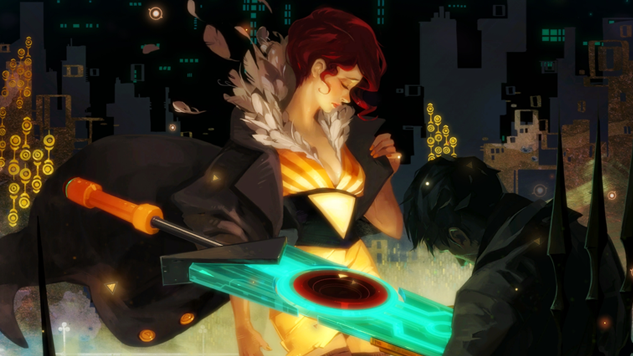 Transistor is, as the developer studio describes it in a blog post announcing the news, a “sci-fi-themed action RPG.” You play as Red, a singer whose voice gets stolen by an evil super-group. She carries an extraordinary weapon that she communicates with and uses to fight through a beautiful futuristic city. The sword, called the Transistor, contains the voice of a man trapped inside, and as Red, you must discover the Transistor’s mysteries as you search for its former wielders. The game was first released in 2014, and has been a commercial and critical success. Supergiant Games has “faithfully adapted and optimized it for Nintendo Switch, taking advantage of HD rumble and the system’s unique design,” per their post. The game contains an emotionally moving story, engaging combat and some of the most gorgeous graphics in games out there, so we recommend playing it if you haven’t thus far.